If you are a teenager, you will need to take driver's education as part of the graduated driver licensing (GDL) program, which you must complete before you apply for your full driver's license. Driver's education is not to be confused with the basic driver improvement courses (BDIC) offered in Michigan, which are designed for those who wish to have traffic points removed from their record. Driver's education in Michigan is split into 2 segments, and you'll need to meet different requirements to enroll into each one. NOTE: Driver's Ed is mandatory in Michigan if you wish to drive before you turn 18 years old. 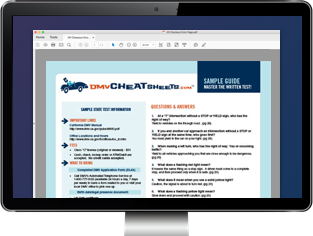 Both segments of Driver's Ed in Michigan must be completed before you can take the driving skills test and apply for your full Michigan driver's license. Segment 1 must be completed to obtain your Level 1 Learner's License and enroll in Segment 2. Segment 2 must be completed to obtain your Level 2 Intermediate License and graduate to a full driver's license. The cost of driver education varies depending on your provider. See “ Types of Driver's Ed Courses in MI" below. You must complete at least 24 hours of classroom instruction (at least 4 hours must be completed before starting the driving component). NOTE: You are restricted to a maximum of 2 hours of classroom instruction per day. Personal study done at home does not count towards classroom time. You must also pass a written test once you have completed your classroom hours in order to receive a certificate of completion and apply for a Level 1 Learner's License. Depending on your Driver's Ed provider, you may be required to pass additional tests. Check with your provider for more information. NOTE: You must complete at least 3 hours of driving instruction before you can take your last classroom session. You must complete at least 4 hours of classroom instruction before you can begin your driving requirements. 6 hours behind-the-wheel driving instruction. Of these 6 hours, a maximum of 2 hours may be instructed on a multiple-vehicle driving range. However, at least 4 hours MUST be instructed on the road. 4 hours observation time in a training vehicle. You have 3 weeks to finish the remainder of your driving hours once you've completed the classroom component. NOTE: You are restricted to 1 hour of driving instruction per day. Be 14 years 9 months old or older. Meet the vision requirements and physical and mental standards. Your Segment 1 Drivers Ed certificate of completion. Have your parent/guardian sign your application. After you receive your Level 1 learners permit, you'll need to hold your Level 1 Learner License and complete additional driving practice with your parent/guardian before you're allowed to enroll in Segment 2 of your MI driver's education course. Have had your Level 1 Learner's License (permit) for at least 3 months (consecutively). Have completed at least 30 hours of practice driving with your parent, guardian, or approved licensed driver who is at least 21 years old; note that 2 hours must have been completed at night. To pass this segment, you must complete 6 hours of classroom time. There is no driving component. NOTE: You are restricted to 2 hours of classroom instruction per day. Fees will vary depending on which provider you choose. Contact them directly for more information. During Segment 1 of your Michigan driver's education course, your driving school may issue a driving permit to your parent to allow you to practice driving on your learner's permit under their supervision. Driver's Ed providers in Michigan also have special accommodations for teenagers with special needs. For more information, contact the Michigan Department of Education's Office of Special Education at (888) 320-8384. Once you've completed both segments of driver's education, you can apply for a Level 2 license, then move on to your full Michigan driver's license. Your Segment 2 certificate of completion. Your driving skills test certificate. Be conviction-free for 90 days prior to applying. Have held your level 1 Learner's Permit for at least 6 months. Have your parent/guardian certify you have completed the driving requirement. Have had your Level 2 Intermediate License for at least 6 months. Have been violation-free for at least 12 months prior to your application. When you turn 18 years old, you will have successfully completed the graduated license program. For more information, see our Applying for a New License (Teen Drivers) in Michigan page.